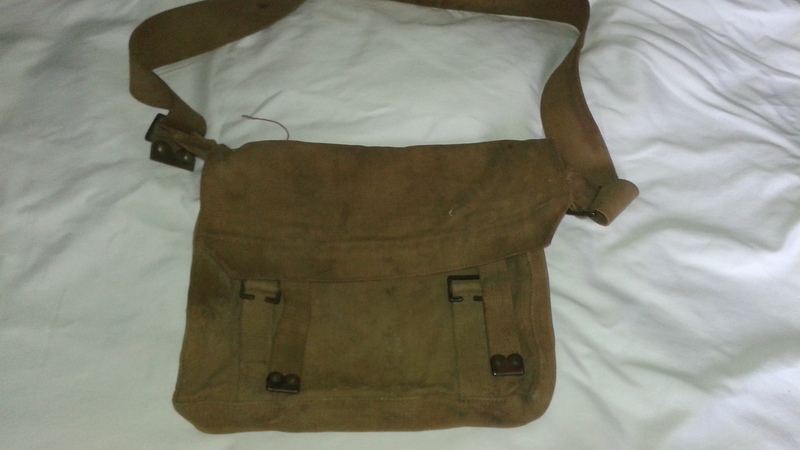 Decent condition 08 pattern haversack. 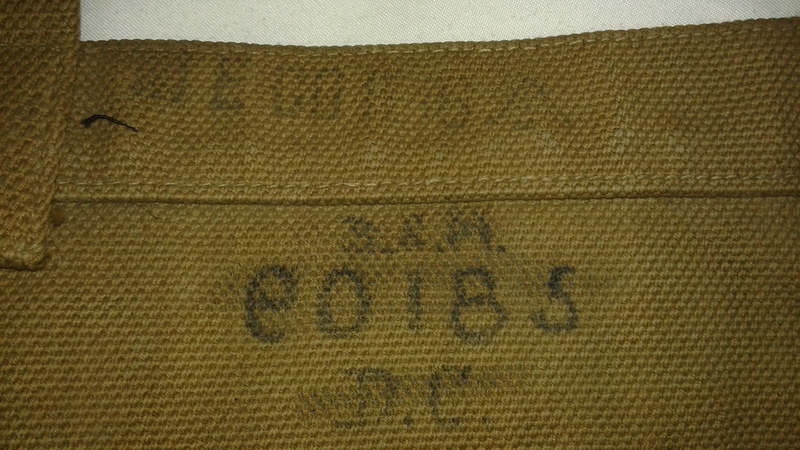 MEC marked and dated 1916. 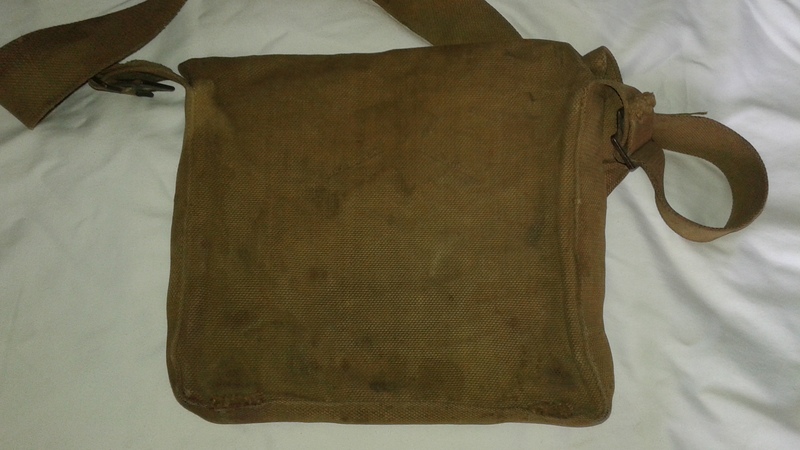 Unfortunately missing it's rear straps. Becoming quite the rare bird. Quite soiled.